EGD (esophagogastroduodenoscopy) is what it is and how it's made? Probably the worst thing for each of us to the doctor, so it is to get a piece of paper with the direction on terribly unpleasant examination. Familiar? Not everyone knows that any, even very painful, the procedure can be made more comfortable, but more on that later. So what is the esophagogastroduodenoscopy? Endoscopy is a diagnostic method of the study of the mucosa of the esophagus, stomach and duodenal bulb (duodenum) by inspection of its special optical unit. Among patients and many doctors study, briefly called endoscopy – gastroscopy, although this is not entirely correct. It is carried out with the help of a gastroscope (probe, equipped with a camera). In medicine, as in science, everything is moving in leaps and bounds, and replaced by a fiberoptic optics came digital gastroscope. What is it? In fact, it is a digital technology that can capture high definition pictures, record survey survey on disk or USB flash drive, you can zoom the picture for better viewing. But that’s not the limit! 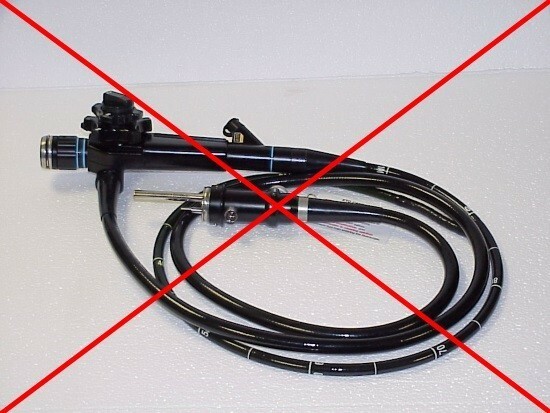 The latest invention of Russian engineers and technicians – ultrasound video gastroscope. This device not only allows us to consider the mucosa, but also can be explore the structure by means of ultrasound (muscles, serous membrane, submucosal layer, lymph nodes). Offer undergo gastroscopy every physician, but most often with diseases of the gastrointestinal tract face gastroenterologists, internists, oncologists, surgeons. The reasons for the survey, there are more than five dozen, but as the procedure is not very pleasant, without the need of it is not carried out. 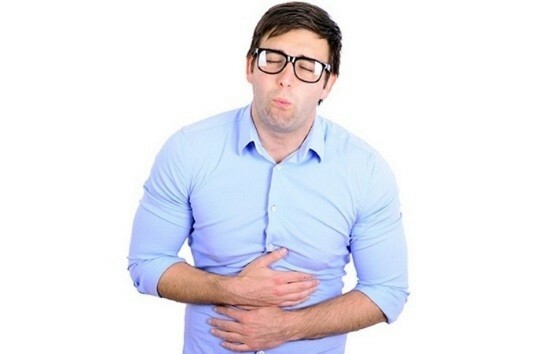 Frequent diarrhoeal events (nausea, vomiting, heartburn, belching, bloating). Signs of obstruction (difficulty in swallowing food, lump in throat, feeling of heaviness, severe pain). Signs of stomach or intestinal bleeding. The search for distant metastases. Causeless anemia, weight loss, subfebrile body temperature. Suspected cancer of the stomach, esophagus. Bitter taste in the mouth, diarrhea. Stomach ulcer, duodenum disease (prevention, control after her treatment). For more accurate and timely diagnosis esophagogastroduodenoscopy should be supplemented by other tests: blood, urine, feces, ultrasound examination of the organs, urease test to determine Helicobacter. How to prepare for the procedure a gastroscopy? In order to examined more comfortably and quickly, you need to approach the training. All unpleasant sensations arising from the conduct of FGDS associated with incomplete emptying of the stomach, a low threshold gag reflex, fear and anxiety, reluctance to properly perform all the instructions of the doctor. Preparing for esophagogastroduodenoscopy starts about 10-12 hours before the test. A light dinner (exclude gas, dairy products). 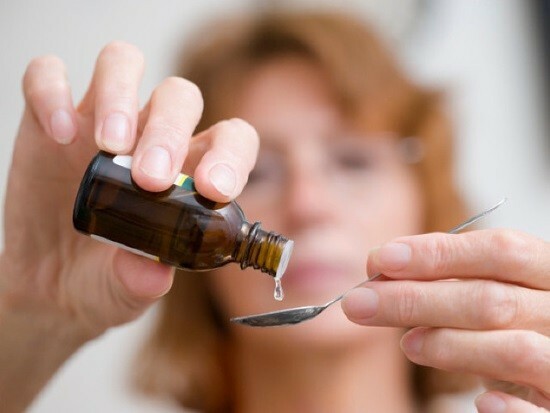 Do not take medicines that affect the acidity, enzymes, peristalsis of the stomach and intestines. To take a mild sedative at night. To reduce the consumption of other drugs. To take a mild sedative allowed by the doctor. Try to relax, not to worry. Local anesthetic lidocaine will reduce discomfort and gag reflex. The breathing should be deep, smooth, more rare. By following these simple tips, it is possible to facilitate gastroscopy and avoid pain. 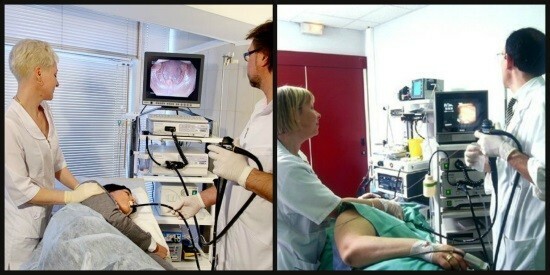 Fibroesophagogastroduodenoscopy is conducted by a physician endoscopist in position on the left side. Not everyone knows how to conduct the study. Before the introduction of the probe Zev treated with lidocaine to reduce the sensitivity. The modern gastroscope can be inserted into the esophagus through the mouth as and nasal. The passage of the instrument does not affect the breath. 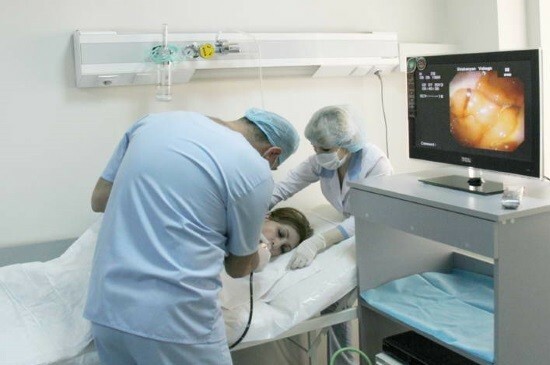 The doctor in stages examines the lining of the internal organs of digestion (esophagus, stomach, duodenum and bulb), records the detected changes to a photo or video, doing a biopsy of the suspicious area if necessary. The gastroscope is extracted slowly. A patient is asked to take a deep breath. The procedure lasts from 15 to 40 minutes. It is worth saying that if the survey conducted by an experienced, qualified doctor, the discomfort from the procedure is reduced to zero. What to do after the examination? If all went well, without incidents and complications, the observance of a certain mode is required. Eating possible after 1-2 hours, if you do not have a biopsy. «Frozen» from lidocaine will also be held in a couple of hours, and with it the feeling of a lump in my throat. If, during endoscopy of the stomach, the patient became ill, there was a strong nausea, anxiety, palpitations, increased blood pressure, the doctor will offer to enter a special drug and a little lie down on the couch to feel better. Like any other invasive tests, fibrogastroduodenoscopy has its limitations. Any acute diseases, diseases of the blood. Varicose veins of the esophagus. Severe stenosis of the esophagus. After suffering a heart attack, stroke. Also not examined the patients in a terminal condition and has extreme cardiac or respiratory failure. Pregnancy is not a contraindication to the use of gastroscopy! Most frequently reveals inflammatory changes of the gastric mucosa (gastritis), esophageal (esophagitis), duodenum (duodenitis), erosions and ulcers, polyps, cancer, foreign bodies, contraction or insufficiency of the sphincter. As a rule, all findings require histological confirmation. For this purpose, take a biopsy of the tissue and examine cellular composition. Transcript of endoscopy is issued to the patient at hand 10-15 minutes after the procedure. On the basis of the survey, the results of histological analysis, as well as complaints the attending physician establishes the final diagnosis and conducting treatment activities. READ How to get the radiation out of the body after the x-rays? With the appearance of suspicious symptoms after the procedure of esophagogastroscopy (dyspnea, severe pain in the chest or abdomen, vomiting blood, hiccup, dizziness) you need to urgently call an ambulance! For the diagnosis of diseases of the gastrointestinal tract, in addition to endoscopy, use a huge Arsenal of methods: radiography and fluoroscopy of the stomach, intestines, ultrasound, MRI, CT scan, duodenal intubation, esophageal pH-metry and other ways. Visual inspection on the inside. The possibility of photo and video. Histological examination of biopsy material. You can see even the smallest of tumors (up to 1 mm). Thanks to a gastroscopy it is possible to establish a correct diagnosis without additional methods of examination, although the latter provide real assistance to the physician in diagnosis. The modern gastroscope is now available in virtually every clinic, hospital, medical center, so the examination is offered to all patients with indications. In addition, FGS can pass on their own, so to speak, as a preventive measure.